Most people will need to take part in business negotiations at one point or another. And whether you’re a naturally gifted communicator or not, negotiation can be a tricky business. So what can you do to ensure your negotiations will be as effective as possible? Here are at ten top tips that will make you a better negotiator. Strike a balance between give and take. This is perhaps the most important thing to keep in mind when you’re negotiating. In every negotiation, both parties want something – and, to reach a suitable agreement, both must usually be willing to give something in return. To ensure this discussion goes the best way possible for you, try to identify what the other party wants, and decide how much you can afford to give up in this area to benefit them. They will then be more likely to concede to what you want in return. Try to find a win-win outcome. The above being said, it’s always wise to try reaching an agreement that will benefit both parties. Instead of focusing solely on your own benefit and what you want to gain, concentrate on developing a rapport and relationship with the other party. This is more likely to lead to civilised, productive negotiation. Introducing an overtly negative tone is sure to derail any negotiation process. Instead of criticising the other party for what they’re offering or suggesting, try to help them see your point of view by summarising or paraphrasing their words to open up further discussion. You can also try asking constructive questions to foster understanding and get everyone on the same page. Instead of waiting for your next opportunity to speak, trying to finish the other person’s sentences, or even interrupting them, try to really listen. Not only will this ensure smoother communication, it will foster a sense of trust between the two negotiating parties. Be sure to give indications that you’re listening, such as repeating or acknowledging what the other party has said. Build an atmosphere of respect and trust. If you’re going to get anywhere with a negotiation, you must develop respect and trust between both parties. This starts with the listening we mentioned above, and continues with calm, polite and clear discussion. Treat negotiation as a relationship-building exercise. Instead of approaching negotiation as an us-versus-them situation, treat it as an exercise in relationship-building. 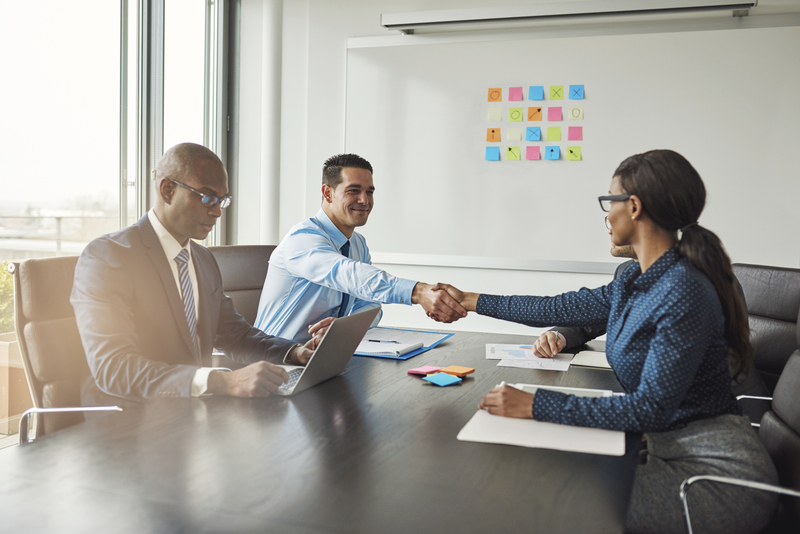 You never know what good things might come out of a partnership or agreement down the track, so don’t burn any bridges by trying to achieve an outcome at the expense of a business relationship. Salvage potentially difficult situations by stopping conflict in its tracks. If at any point things start to get heated in your negotiations, be sure to hit the pause button and take some time to cool down. Take a break if needed, or summarise your progress so far and highlight the positives. Emphasise the benefits both parties will reap from reaching a mutual agreement, and point out the downsides both will face if an agreement is not reached. Never walk away from a negotiation. In the situation that conflict does arise, resist the temptation to give up. Walking away should only be considered as a last resort, when all avenues and possibilities have been exhausted. Before taking this road, ensure you’ve negotiated for as long as you can and discussed numerous alternatives. Keep cultural differences in mind. Whenever negotiations take place between cross-cultural parties, there is potential for misunderstanding to occur. Subtle nuances in language and customs can unfortunately cause difficulties if they are not understood properly. Keeping cultural differences in mind and trading carefully worded questions and answers will ensure negotiations run smoothly. This may seem obvious, but it’s always best to keep things as polite and pleasant as possible during any negotiations. To ensure there’s no risk of offense or misunderstanding, always be mindful of your tone of voice and avoid aggression, condescension and negativity. With these ten tips, you’ll be a pro negotiator in no time.